"How did you get here?" "Oh, well, I went through the door through which Christopher Robin is known to appear…" Oh my goodness this just looks so adorable!! I'm so excited to see this movie. Disney has debuted a special "extended preview" running for 4 minutes in total for their upcoming Christopher Robin movie, from director Marc Forster, a live-action Winnie the Pooh movie. We've already seen many trailers for this before, but one more can't hurt. 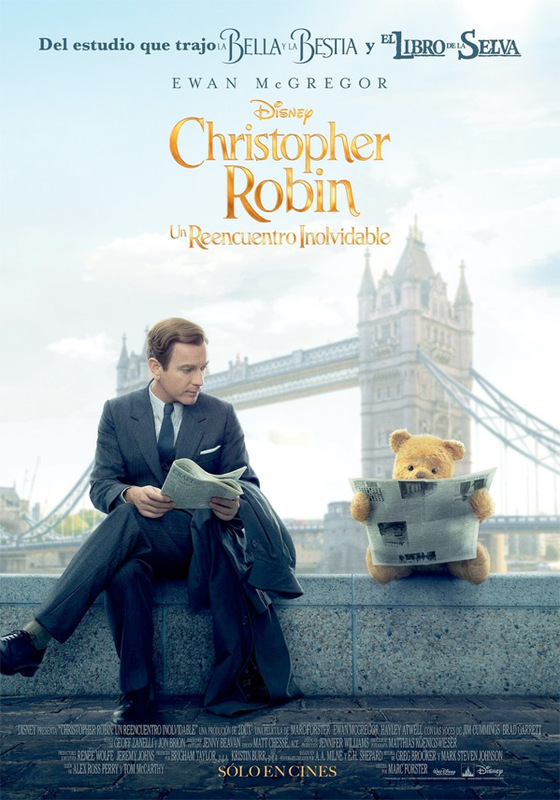 Ewan McGregor stars as a working-class family man in London named Christopher Robin. He re-encounters his childhood friend Pooh, who helps him to rediscover the joys of life. The cast includes Hayley Atwell, Mark Gatiss, Adrian Scarborough, Roger Ashton-Griffiths, Paul Chahidi. For the voices: Jim Cummings as Winnie-the-Pooh, Chris O'Dowd as Tigger, Toby Jones as Owl, Peter Capaldi as Rabbit, Sophie Okonedo as Kanga, and Nick Mohammed as Piglet. Yeah, this is going to be the movie we all really need right now, isn't it? Watch the preview below if you want to see more. You can watch the teaser trailer for Disney's Christopher Robin here, plus the full trailer or other trailer.